How Far is Sap Kyros Cristos? Sap Kyros Cristos is one of the popular residential developments in Ulsoor, neighborhood of Bangalore. It is among the completed projects of its Builder. It has lavish yet thoughtfully designed residences. 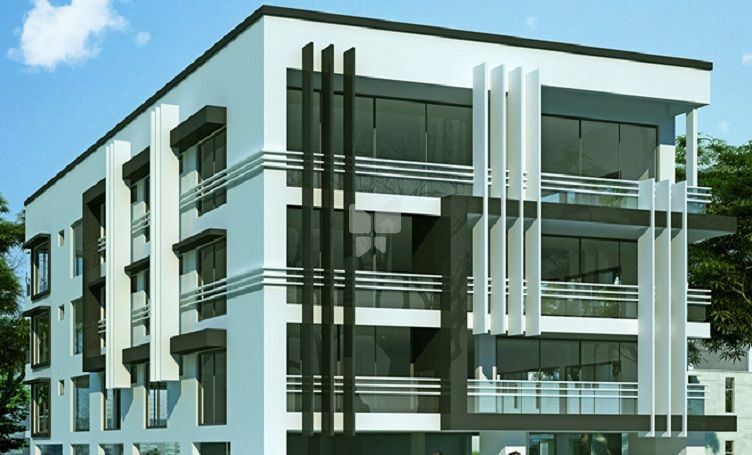 M/s Sap Kyros consortium is an amalgamation of four companies promoted by Navin Jolly who after more than a 28 years working in the architectural and real estate industry saw the need for a fresh and progressive approach to the Bangalore property market and the necessity for an architectural and engineering firm to stand out from the rest of the crowd that could redefine high tech engineering in the real estate market. Thus M/s Sap Kyros consortium amalgamates M/s Sap kyros P Ltd with two more companies -M/s Naveen Architects Design Studio P Ltd, and M/s Auberge India P.S.P Ltd.
M/s Sap Kyros consortium has grown from a one man operation to an organisation of more than 25 experienced Architects, Civil engineers and structural Engineers, with over 15 million sq ft of residential property designed built and delivered as on date … all in its 28 years of operation. The team at M/s Sap Kyros consortium is a group of professional striving for excellence and raising the bar on Bangalore"s real estate industry. Committed to build a passionate, innovative and peoples orientated organisation while also providing a strong platform for architects, structural designers to create and to excel in, is crucial to the ongoing success of the company. Understanding that every Architectural and Structural design challenge is different, the team at M/s Sap Kyros consortium is continually developing new and innovative methods, technology and management systems to ensure the best possible results are achieved for all our clients. We are very much a results driven consortium and these results do not come at the cost of honesty, integrity and exceptional service and customer care. We are extremely proud of what we have created at M/s Sap Kyros consortium and our results are there for everybody to see from Modular Homes to structures built in half the time in Structural Steel to architectural design from 2800 apartment Township on 33 acres of land to hospitals in Pune and Gwalior . The architectural division specializes in designing Modular Homes and structures for the Adventure sports Industry with special emphasis on Resort room .We have also designed the modular Homes with reusable steel foundation technologies. We can deliver structures practically 50 % faster than others in the industry.